Opinion so far: I’m really surprised by this book. I didn’t like Emma Scott previous books but this one catched my attention. 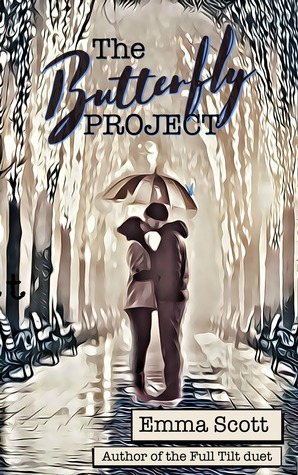 Fast paced, the story is rolling so well, the connection between the main couple seems so real and it is taking time to build a future relationship. The fact we know so soon the story behind the characters surprised me but I’m glad there is no secrets to drag the story. Right now, I feel more connected to Beckett than to Zelda but I guess is her impulsive way of thinking and her way of believe what is right that makes me back off a bit. I also hope the other characters will be more present, they seem rich and good for this book.